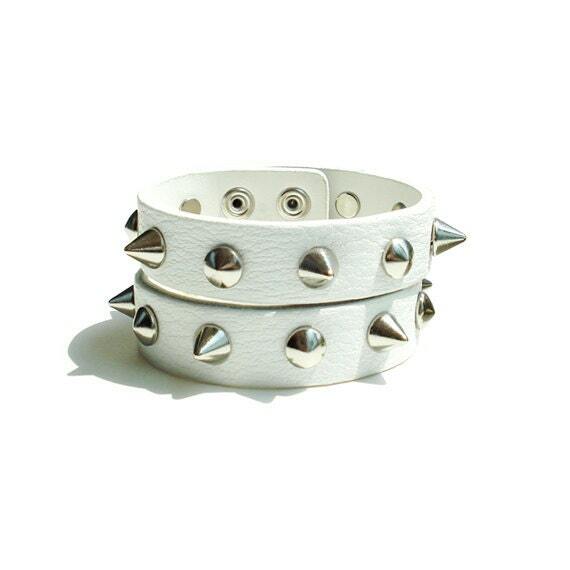 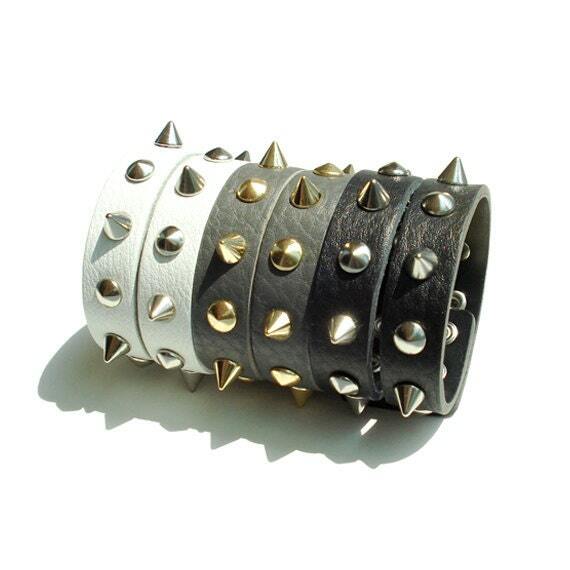 Rocker Chic Spiked Genuine Leather Cuff! 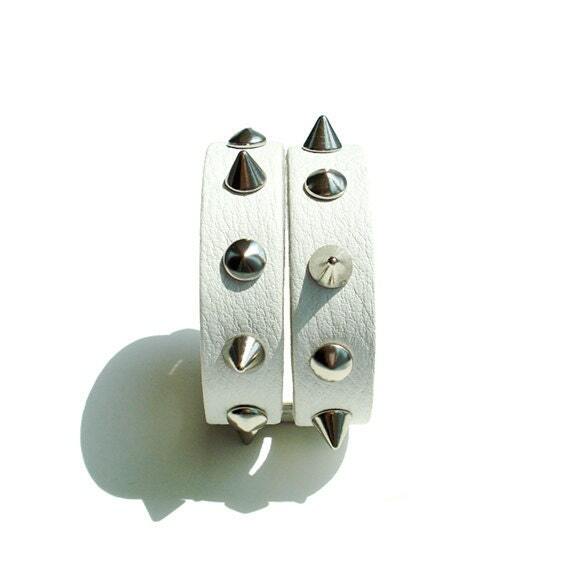 White Genuine Leather and Metal Spikes. 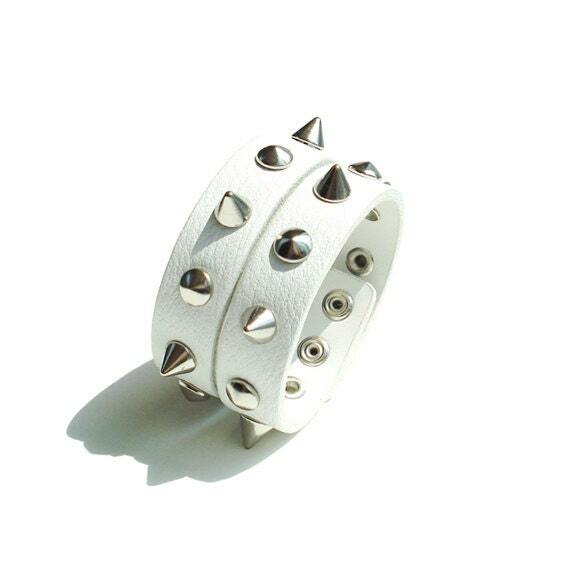 Perfect way to make statement with little bit of personality. 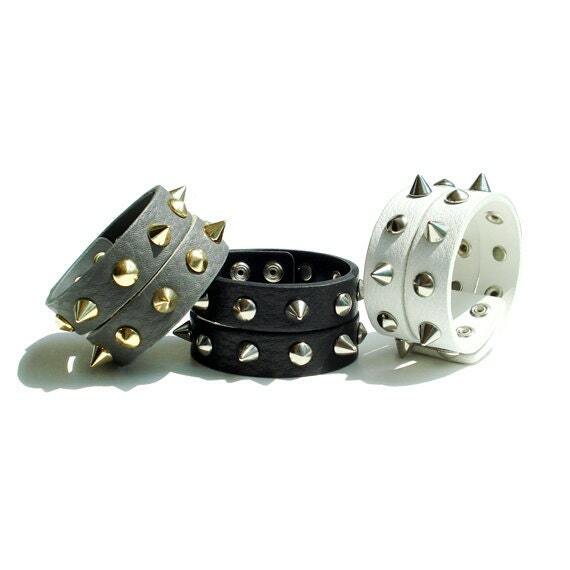 Complete with 2 Snap Extensions.